Checking accounts are highly useful for daily transactions, such as bills, purchases, and ATM withdrawals. However, not all checking accounts offer the same features. Two of the most popular types of personal banking services include personal checking accounts and interest checking accounts. While both options offer a fast and convenient way to store and access your money, there are some distinct differences between the two. Learn more about the differences and similarities between personal checking and interest checking accounts and where you can go to open either type of bank account. 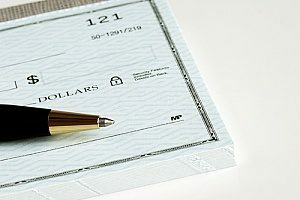 A personal checking account was created to allow customers to write checks using the money deposited in the account. 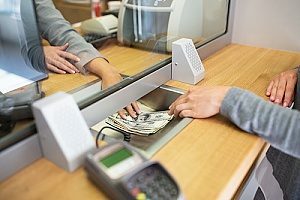 However, modern checking accounts rely more heavily on the use of debit cards to withdraw funds at an ATM or by swiping the card at a local store, restaurant, or gas station. Personal checking accounts are easy to use when making small, frequent purchases, and can also be useful when receiving direct deposits. Checking accounts are designed to simplify your finances by automating both payments and deposits. One downfall of personal checking accounts is that they are not interest-bearing like savings accounts. CA personal checking account allows you to easily access your money without having to worry about keeping a balance or paying monthly maintenance fees. It costs just $50.00 to open a personal checking account and there is no minimum balance to maintain the account. 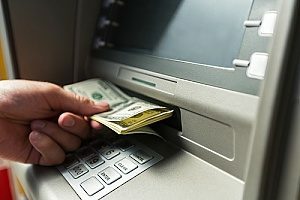 Personal checking accounts also offer a number of convenient features, such as unlimited check writing privileges, free check card, free online banking with bill pay, free worldwide ATM transactions, free e-statements and check images online, and 24-hour access to your account balances. Customers also have the ability to transfer funds between accounts from the comfort of their own home. While interest checking accounts are not new, they have become more commonplace in the banking industry. With the introduction of online banking services, overhead costs have reduced which means savings that can be passed onto the customer. These savings often result in better rates and the widespread use of interest checking accounts. Interest checking accounts can be used in the same way as a non-interest checking account. You are able to write checks, pay bills, make purchases, or use ATMs to withdraw funds. However, unlike a personal checking account that simply holds your money; an interest checking account helps your balance grow over time. When you open an interest checking account, the bank pays interest on the balance in your account. Annual percentage yields (APYs) can differ among banks. Interest is earned on all balances, compounded daily, and credited on a monthly basis. With an interest checking account, you have unlimited check writing privileges, as well as a free check card. Opening an interest checking account also comes with other great benefits, such as free worldwide ATM transactions, 24-hour access to account balances with online banking, free e-statement and check images online, and a low $50.00 minimum to open an account. Interest checking accounts are well suited for customers who typically maintain a higher checking account balance. A higher balance allows customers to take advantage of interest-bearing accounts. An interest checking account is also a great option for any customer who wishes to enjoy the simplicity and convenience that comes with a personal checking account. Before making a decision, be sure to read the terms of the account contract carefully. Some banks have monthly maintenance fees, minimum balance requirements, and other conditions that you must follow. While both personal checking accounts and interest checking accounts can be useful in certain circumstances, many modern customers are drawn towards interest checking accounts due to the ability to easily grow their money. The money in an interest checking account also stays liquid, meaning you can withdraw it as needed to pay for bills and various other expenses. Interest checking accounts are protected by the Federal Deposit Insurance Corporation up to the limit of $250,000, meaning your funds are well protected. The ability to earn interest is no doubt the biggest draw of opening a interest checking account and what makes it a more attractive option for many people. Money that you put in a savings account is designed to work for you by building interest or a return over time. Unfortunately, traditional checking accounts do not offer interest as an incentive. If you wish to acquire the many benefits offered by personal checking accounts but with the ability to grow interest like a savings account, you should consider opening an interest checking account. For more information about personal or interest checking accounts, or how to open either type of account, contact the bankers at FVCbank today.